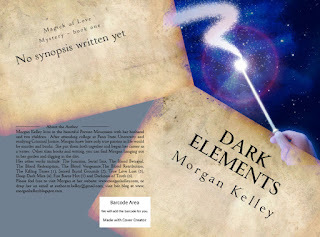 Morgan 's Lair: Things that go bump in the night or in Morgan's Brain! Things that go bump in the night or in Morgan's Brain! Just sitting here with my coffee and my laptop answering emails. I thought I'd post a blog and then head back to my last two days of self-imposed hiatus, before back to the grind on Monday morning. Today I had a question regarding adding paranormal to my storylines. I guess that's going to be today's topic of Blogging. I just read book two in your series and noticed you teetered on the edge of giving Timothy Blackhawk psychic ability. Will there be more in your books yet to come? I Love a book that gives us a glimpse into ESP and other psychic gifts. Okay, here it is. I've tossed around using a paranormal twist in my upcoming books. Will it be in the FBI series or the Private Investigator series? No it won't. 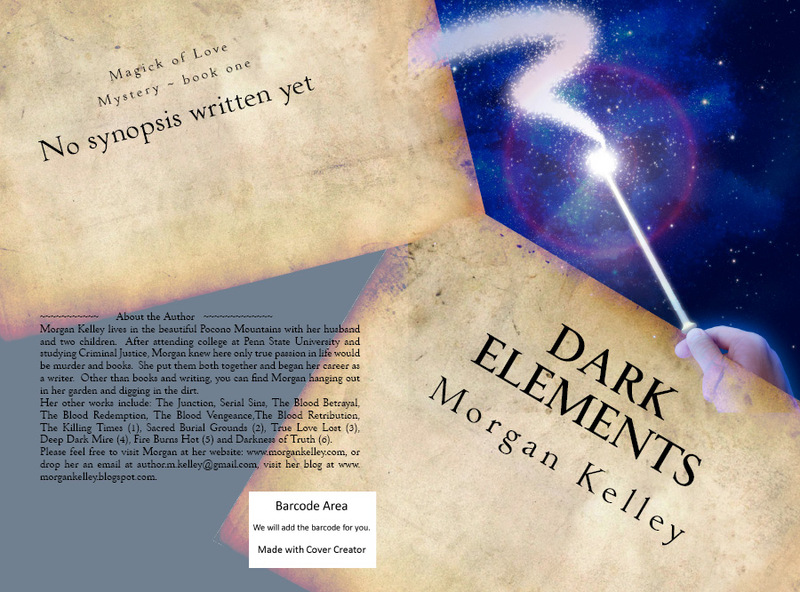 Will I be launching a new series using the paranormal and magic? I currently have a book in production for a little twist on Magick and Witches. (Which if you know me, you know both are near and dear to my heart) I have just completed the cover the other day and am planning on a fall release. There's going to be approximately three books in the series. I'll post the cover for you all to see. This book is about ninety percent written. If all goes well, it'll be out in early fall, or perhaps for Halloween. I love a good book about witches just in time for Samhain. Now to address a book with FBI agents with paranormal abilities. I know it's been done before, and I'm not ruling it out, but I have to come up with something so outside the box that it's fresh and new. If I can pull that off, then possibly next year one will make an appearance. I have an idea, but can I make it into a series? That's a whole other story. There you have it, Tania. I hope that answered your question!